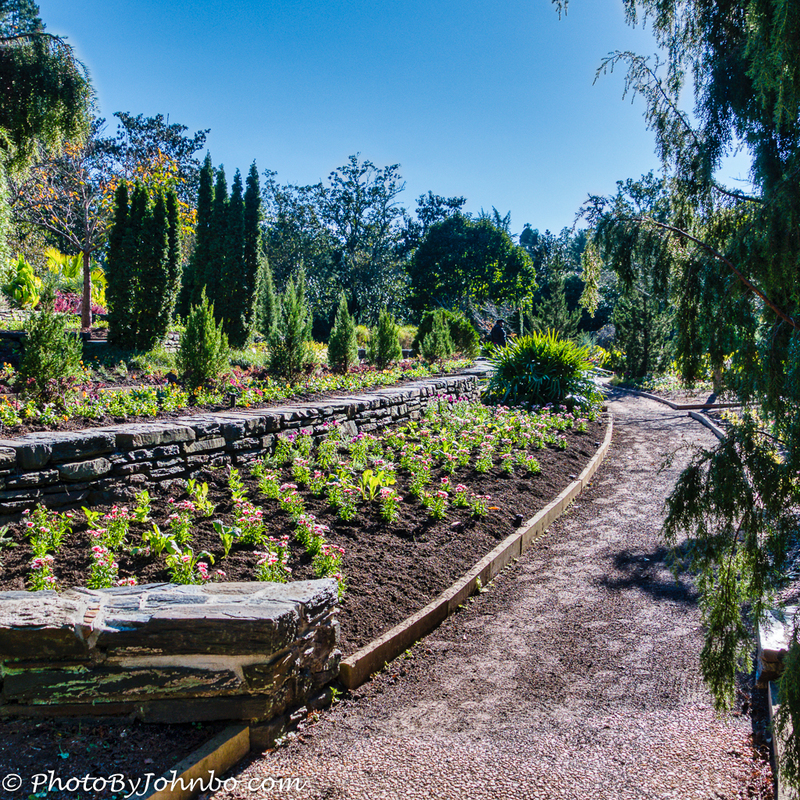 In the early 1930’s, the love of horticulture brought the gardens named after the widow of one of the founders of Duke University to fruition. The gardens first came to life in 1935, but in 1939, the public gardens were reopened in their new location. It was a bit tricky to find using our GPS and we found ourselves going into parking areas that were for Duke University employees only before we came upon the correct turnoff. I don’t know if the issue was specifically with our Garmin GPS or if it’s just plain hard to find. In any case, the hassle was worth it. 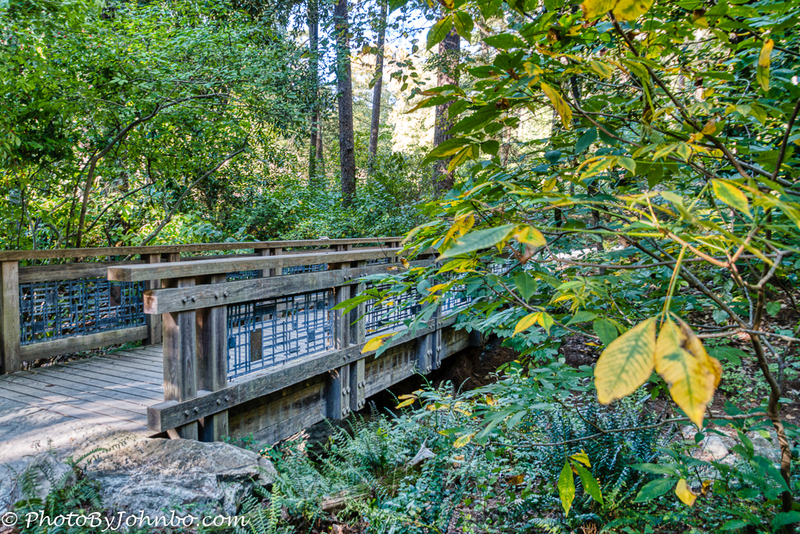 The gardens provide a great place to spend some quality time enjoying nature. 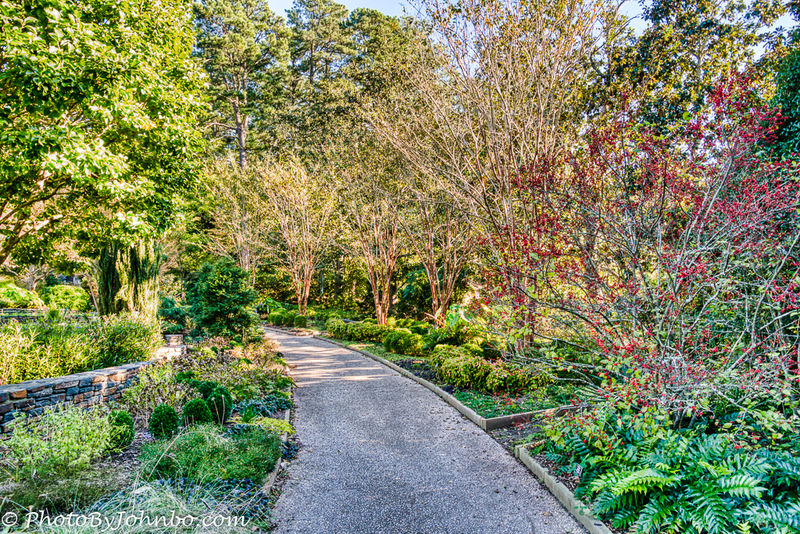 To visit every one of the gardens, allow enough time to walk slowly through five miles of walks and paths. The gardens are public, visited by over 300,000 people each year, and rely upon donations and memberships to sustain the grounds. To encourage memberships, there are several benefits to purchasing several classes of membership, or you can leave a free will donation online via their website to support their mission. Though we didn’t take advantage of their guided tours, a stop in the Doris Duke Center will allow you to sign up for a guided walking or trolley tour. Visitor maps are also available for self-guided tours. At the time of this writing, both tours cost $10 USD per person. Don’t expect to join a tour on the day of your visit, however. They fill up well in advance, and are only offered spring, summer, and autumn. Tours are offered only Tuesday through Friday, and advance reservations are a must if you want to take advantage of either of their tour programs. We found ourselves in the gardens on a mid-October afternoon. We spent a very enjoyable afternoon wandering around with no particular destination garden in mind, snapping photos as we went. Though we weren’t there for lunch, the Terrace Cafe is open daily March through mid-November. 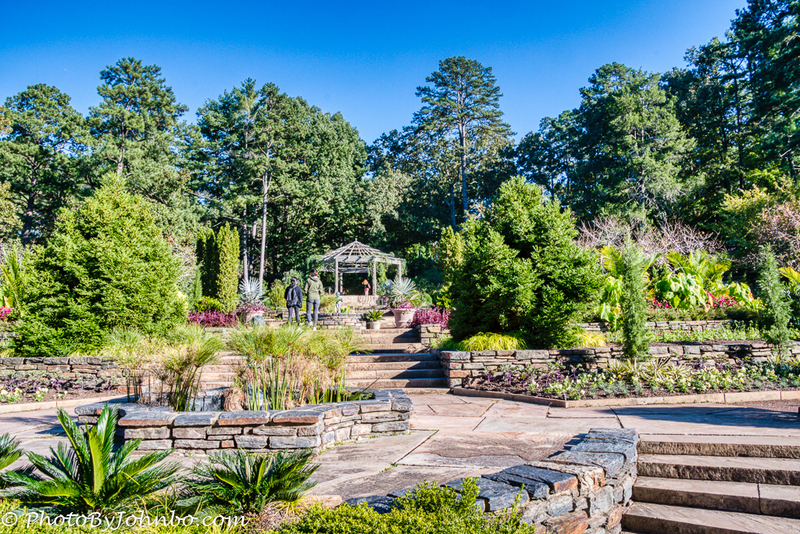 Hours vary, and the times are posted on the Duke Gardens website. The Bartter Family Terrace House is the home of the Terrace Cafe. 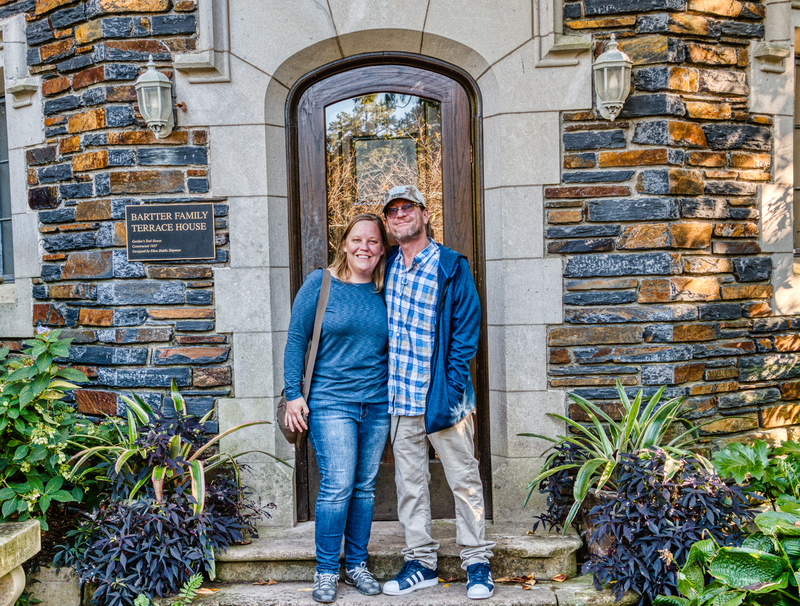 The photo above is of my son, Josh, and his wife, Nichole at the entrance to the Terrace House. You can find out more information about the gardens on their website here. I present for your review, a gallery of images captured on our visit to the gardens. In most browsers, you can click on an image to enlarge it or to scroll through the collection. What a beautiful day! We missed peak colors but the weather was perfect. Peak colors coincided with weeks of rain this year so,it was probably for the best! What a beautiful place, and it doesn’t seem to be frequented by crowds of people at all? It was indeed a quiet day when we were there. Very pleasant visit. Thank you for the tour of this beautiful garden, John!